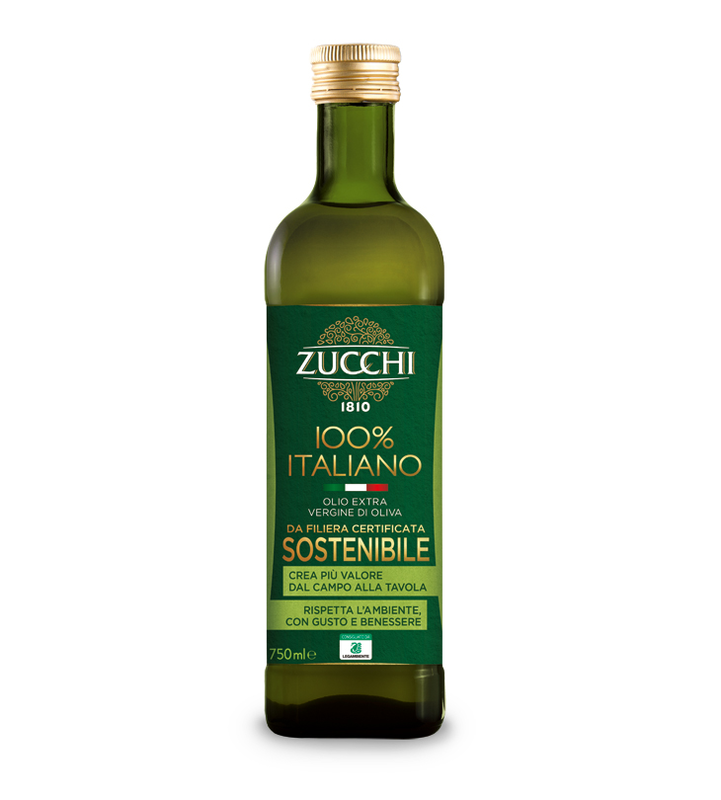 Zucchi SOSTENIBILE 100% Italian extra virgin olive oil is the first oil to be produced by a completely traceable, certified sustainable supply chain. It creates more value from the field to the table, protecting the environment while producing flavour and health for you. 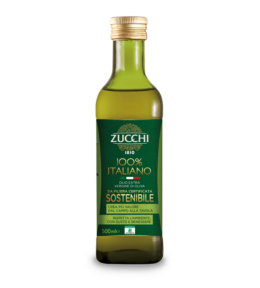 Zucchi SUSTAINABLE 100% Italian extra virgin olive oil has a flavour with aromatic grassy notes with an impression of almond. 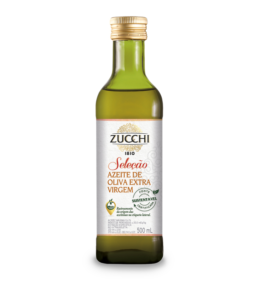 Recommended for use raw to bring out the best in dishes such as summer salads, vegetable dips, carpaccio and bruschette. 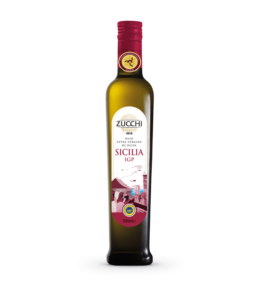 To conserve our oil's sensory and nutritional properties intact for longer: seal the container carefully after each use, use dark bottles or cans and store at below 20°C (the ideal range is between 12 and 18°C).